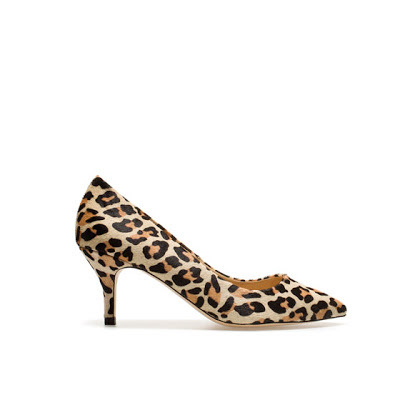 As you know I am obsessed with certain animal print... And always find something new that has it in order to feed my obsession. Here are the Dolce & Gabbana shorts from Net-a-porter. And Kelly Brook made me envy of her leopard print beret! And for the coming spring, a new pair of leather court shoes would be perfect! great ways of wearing leopard!